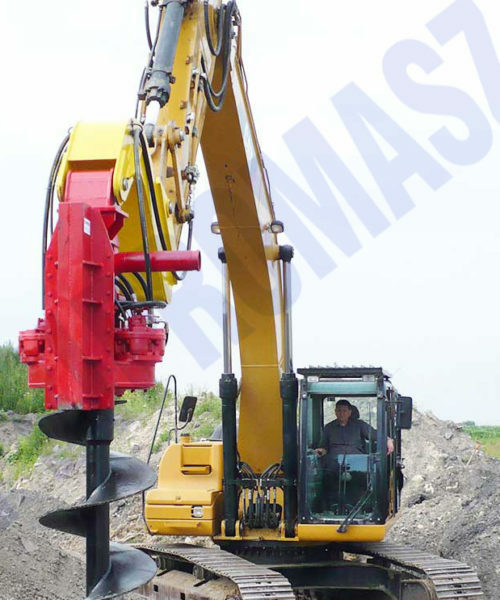 OWK type excavator drilling equipment fitted with rotary head and auger column is intended for drilling vertical holes under different soil conditions. 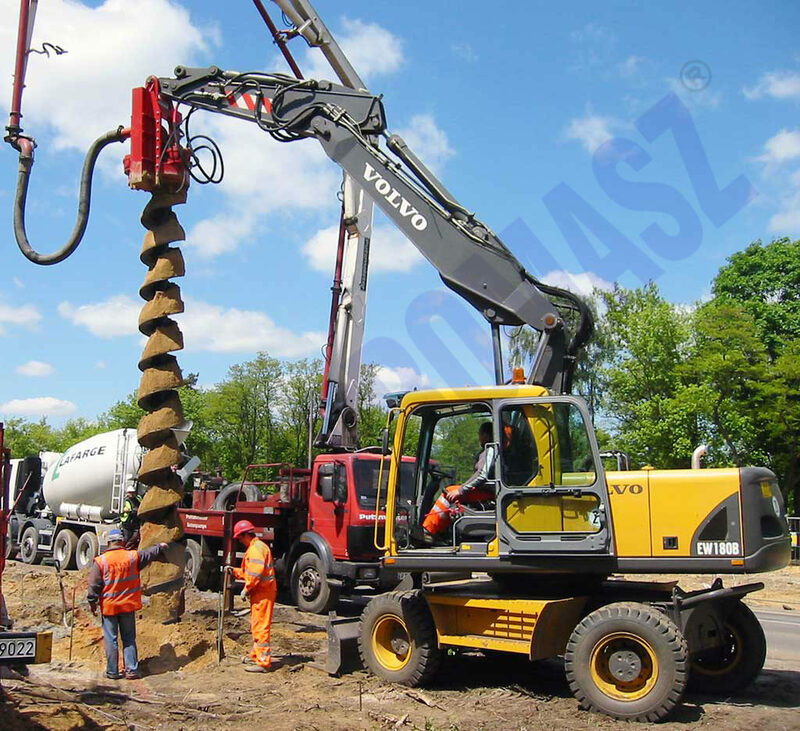 Drilling equipment is attached to the excavator arm instead of a bucket. 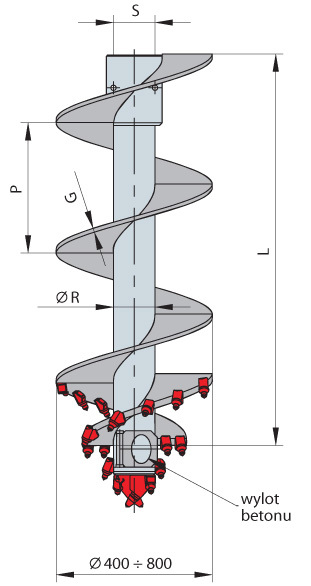 Augers are driven by the rotary head equipped with a hydraulic motors. 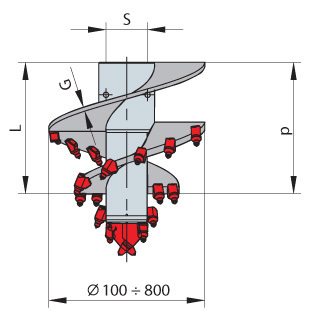 The characteristic feature of most of heads manufactured by our company is the possibility of continuous feeding of concrete CFA or cement grout, owing to a special design of the pass-through spindle. 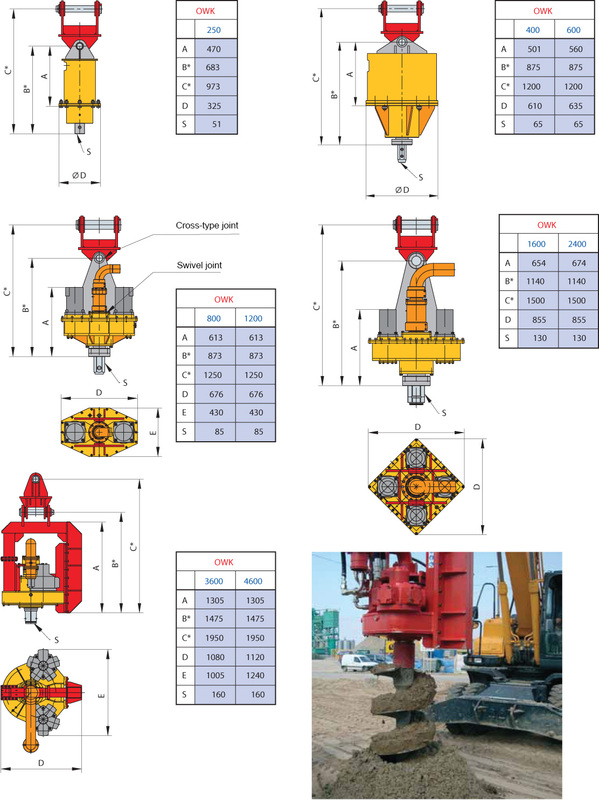 High quality materials allow OWK equipment to carry heavy loads related to the drilling process. 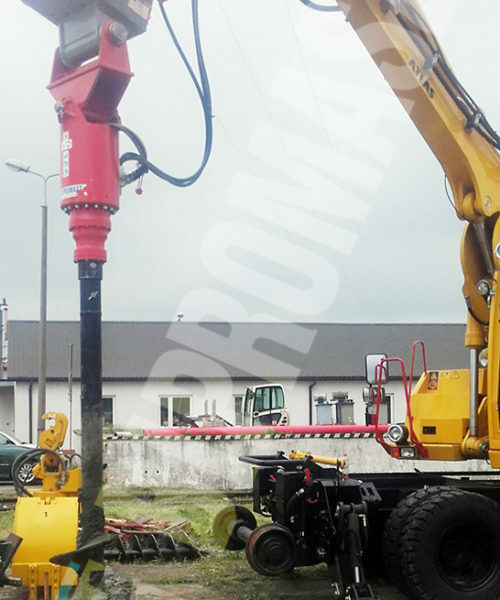 The SCM-500B measuring system is designed for installation on drilling rigs operating in the CFA, DSM, JETGROUTING technologies, and it is used for micropile injection and geotechnical drilling rigs. 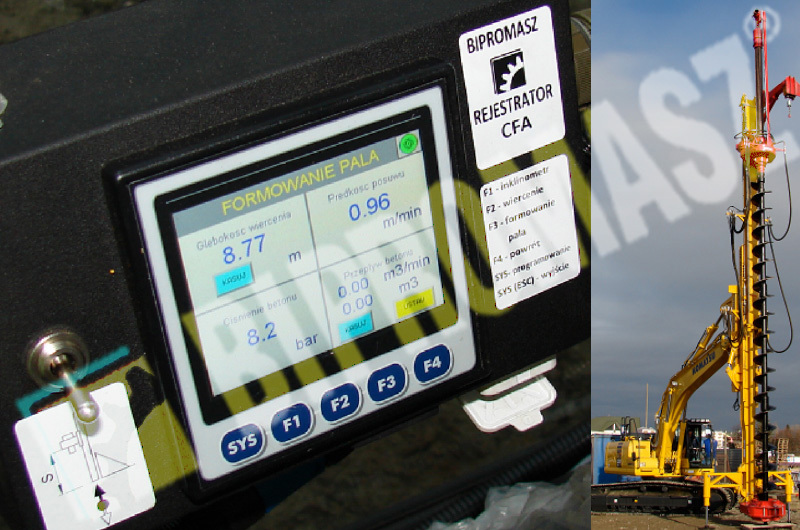 The system ensures ongoing monitoring of drilling and pile formation parameters, while recording them on a portable memory card. A mobile diagnostic computer constitutes the central processing unit of the system. The computer is characterized by a strong, tight housing and the resistance to different weather conditions and vibrations. It is equipped with a bright, colour display, user-friendly function buttons and numerous communication ports with external devices, including a standard 4GB memory card. Possible measurement values: drilling depth, head travel speed, torque, rotating speed, injection grout pressure, injection grout flow, injection grout amount, hydraulic oil temperature.